I remembered listening to an audiobook the year before I started school. 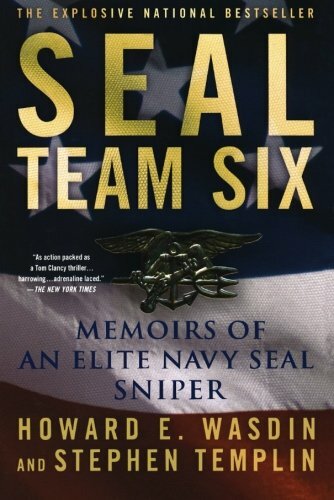 I just downloaded it again and started to listen to the last couple of chapters of SEAL Team Six by Howard E. Wasdin, a former Navy SEAL and graduate of Life University. He describes the "hippie crack-pots" he went to school with at Life U, how a classmate of his died from an ear infection, and his ridiculous professor who stated he would never give CPR to someone in need, just a chiropractic adjustment. He explains that, "it's the small percentage of crack-pots who give all chiropractors a bad name." At the end of his book, he describes the chronic back pain that he experienced after multiple deployments and work as a police officer. Because of the unbearable discomfort, he reluctantly sought out a chiropractor in desperation. "I have always been a 'show me' person," he says, "and resisted going to a chiropractor for some time." He received immediate relief which triggered a desire to become a chiropractor himself. Chemicals couldn't fix my structural problem. The chemicals only hid my pain. A general practitioner can't do everything for a patient, and a chiropractor can't do everything. Working as a team, as I learned my whole life, we become more effective. ... The patients benefit the most.